The certification of the Mallam Aminu Kano International Airport and Port Harcourt International Airport are now in the final stages, the Federal Airports Authority of Nigeria has said. The airports are being certified by the Nigerian Civil Aviation Authority to meet the safety standards of the International Civil Aviation Organisation for international airports globally. “We are currently in the final stages for the certification of both airports. 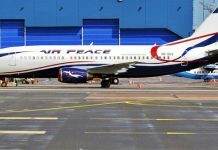 We are closing the gaps and before the end of the current administration, the certification will be completed,” the General Manager, Corporate Affairs, FAAN, Mrs Henrietta Yakubu, said recently. The airport certification is one of the requirements of ICAO and the NCAA and covers security, safety and equipment, among others and is done in five stages, the last being the presentation of the certificate to the management of FAAN. According to the NCAA, the certification of an aerodrome entails making sure that everything is current, working and checked on a regular basis, and touches on all elements of safety oversight such as aviation legislation, operating regulations, civil aviation system, personnel training and certification, development of guidance materials and safety critical information, as well as surveillance and resolution of safety concerns. The Minister of State for Aviation, Senator Hadi Sirika, recently stated that the certification of the Murtala Muhammed International Airport, Lagos in 2017 and Nnamdi Azikiwe International Airport, Abuja, also in 2017, was a milestone for the country’s aviation industry. “The certification of the two airports by NCAA placed Nigeria on the pivot of aviation on the continent as no country in Africa has two of its international airports certified. Also, the certifications of Kano and Port Harcourt Airports have reached advanced stages and would be achieved this year,” the minister said. The certification of the Kano and Port Harcourt airports commenced in 2017 and was expected to have been completed in 2018. 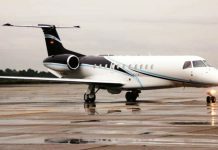 The General Manager, Public Relations of the NCAA, Mr Sam Adurogboye said the certification of the Kano and Port Harcourt airports had been ongoing for some time, with emphasis on Kano. According to him, among other things, it involves certain training for the members of staff and providing manuals in accordance with the requirements of the ICAO. He said, “It is about enhancing the safety status of the airports as a requirement by the ICAO that international airports be certified. Not all airports go through that. Although there is no airport that does not go through safety procedures, international airports are required to have certain standards such as in terms of equipment and workers’ training, among others.